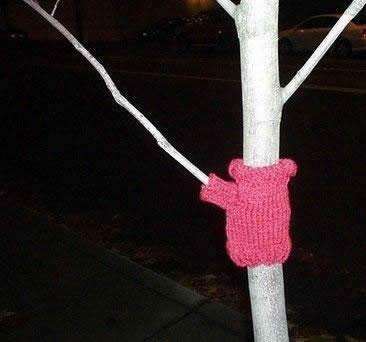 Posted by Mitchell in Art, Home, Knitting. Is that awesome or what? You can read more about it here: Urban Knitting. 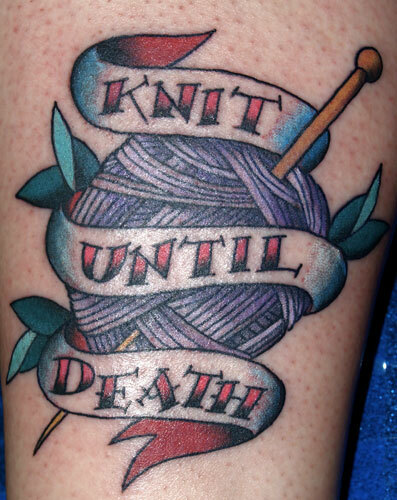 Also, check this out: there’s a knit grafitti crew in Texas that call themselves Knitta Please. That name amuses me beyond all reason. If I ever joined a gang it would be something like that. The above was gleefully swiped from one of the comments over at the Hotsausages. So much talent and patience! This is plainly Evil Incarnate, and I’m quite frankly terrified. 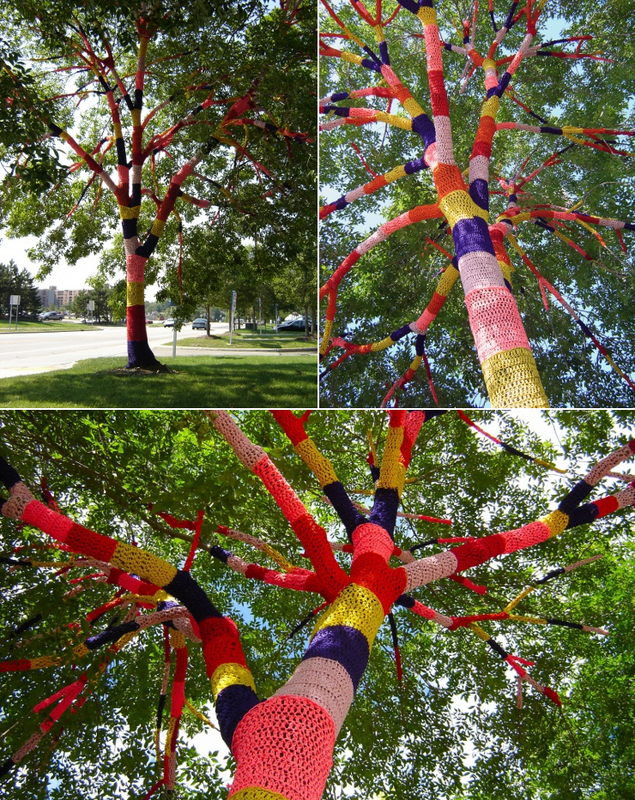 I shudder to think what havoc will transpire when these foul knitterffitti artists consummate their nefarious plans. Yah, I think the tree was a more complicated job than the garage Aggie. Still, a LOT of time to do that. Oh the tree is far more complicated, but WHY would anyone do it to a gas station??? ?